In a blender, add sweetened condensed milk, egg yolks, fresh lime juice and blend until smooth. Add mixture to pre-made pie crust, place on baking sheet and bake for 10 minutes. Remove from oven, cool completely and place in fridge to chill for 4-6 hours. Serve with fresh whipped cream or lime slices. Swap out – Mix it up by using lemon juice instead of lime juice. Top with candied lime slices for an added extra special touch. Looking for an easy-to-make Easter dessert that will wow your guests? Look no further! 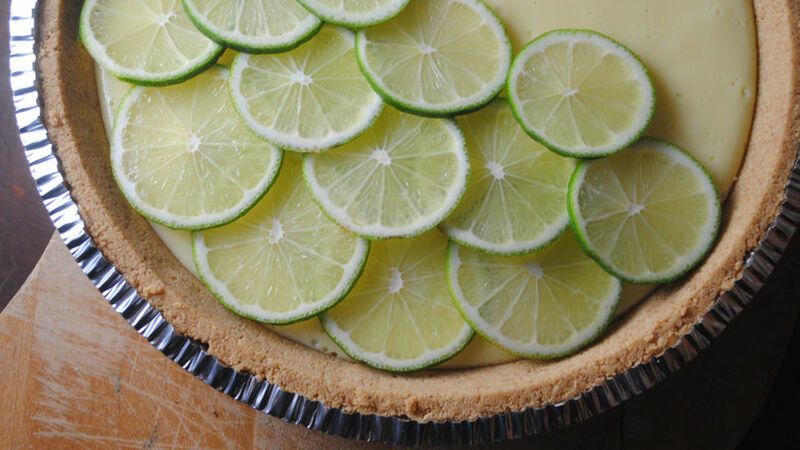 This key lime pie is a silky smooth tart that will be done in a snap!